On Friday night’s Hawaii Five-0 season 8 episode 19, we saw a story that was very much about reflection. That is especially true when it comes to Steve McGarrett and some of his attempts to learn about his father. In the opening minutes of the episode Steve received a rather surprising visitor who claimed to know his father. The twist here comes via why this man was here in the first place: He wanted to admit to some of his crimes from his past. This meant bringing Steve on a tour of his old dumping ground and eventually explain that the only reason why he didn’t kill Steve’s father was because of a phone call that came in at just the right moment: his wife was giving birth. As we started to get near the end of the episode Steve still found himself in a position where he had so many questions. For example, what happened to this guy to cause him to become a killer? He explained that after Vietnam nobody wanted to hire him; with that, he chose to become a killer and used one of the few skills that he was good at. It wasn’t until the end that this man started to reveal that he made the choice to turn himself in because he was near death and it was in part due to Jack Ozuki, a young man who experienced some of what happened in this world of violence firsthand. Steve now has a chance to give all of these victims answers. There is not necessarily a comfort that comes with this, but there is some element of peace. 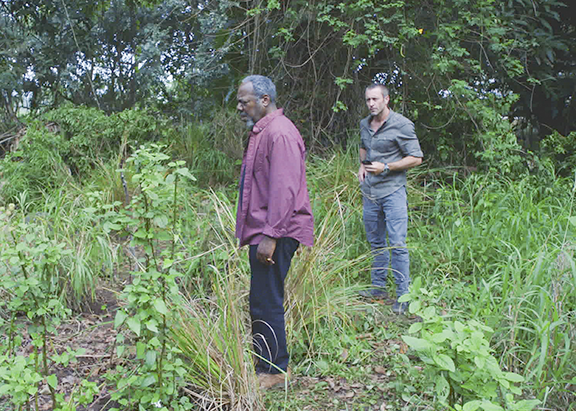 McGarrett getting a chance to meet the family of many of these victims at the end of the episode, including Jack himself, was especially powerful. This was a great storyline because it was reflective. This offered up a chance to see some flashbacks to a very different time in Hawaii. Let’s just say that he was starting to get a little bit desperate. After learning about his half-sister last week he found himself in a spot where he needed to get money, and he also needed to figure out a way to keep some of the people close to him safe from Hideki. There were people coming after both Kono and Chin and he was the only person with the power to do something about it. Adam had to unleash one of his biggest secrets in order to ensure that he would be okay: He had to collect a stash of cash that nobody knew about, including his friends over at Five-0. He got what he needed, but soon after that things hit a snag when Jessie took off with his money. Jessie decided that she wanted to get out — she wasn’t betraying Adam in terms of fighting on the other side, but she just didn’t want to get killed. He was left to eventually figure out what to do with the help of Tani. Unfortunately, Jessie learned the hard way what happens when you run — when Tani and Adam found her and the car, she had been killed and the money was gone. What a great, powerful Hawaii Five-0 this was for McGarrett as he got to do something few people have an opportunity to do: Honor their father and help to close a case that had been haunting families for many years. What did you think about Hawaii Five-0 episode 19 as a whole? Be sure to share in the comments!